All high growth economies have experienced a high growth stage which then fell back to medium or low growth. Some countries or regions experience volatile change from shifting from fast gears to slow ones, while others are smoother. Japan is an example of a rocky road. Its GDP growth deceleration is a sudden jolt. South Korea is better than Japan - its economic growth slides have been gradual since the 1990s. So, people are wondering will China be like Japan or South Korea? Will its next stage of economic development be smooth or rocky? Economies that experience high growth usually adopt a catch-up model - industrialization driven by exports. All economies in East Asia have adopted this model. China in the past 40 years did not fully utilize its huge market. It took the path of a piecemeal reforms and opening-up, which is fundamentally no different to the East Asia forerunners. Next phase, development policies ought to focus on maximizing advantages from a giant marketplace. A major characteristic of the next phase is convergence. The potential growth rate will slow down. The return on traditional investment has significantly decreased. When there are exogenous shocks to the economy, loosening monetary policy to maintain demand is less effective. It is what is happening in China right now. This is a reminder to the government that the Chinese economy is making a transition to the next phase. China is currently at the end of the catch-up model. Here are some indicators. First, the international market share of China's products has been at an unprecedented high. Second, real wages have continued to go up. Third, the return rate on capital is declining. Last, the total factor productivity decreases. Entering into the convergence model, the technology advancement will only become slower. Without independent research and innovation the economy may quite easily slip. 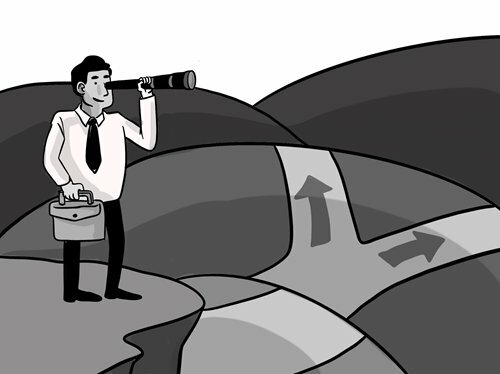 China is currently at the end of the last phase, so how can it transition to the next phase? There will be risks involved during this transition and huge fluctuations on the macroeconomic level. When the US started to create problems for Japan in the 1980s it began with a trade war. Japan didn't realize its economy was transitioning to the next phase. So, they still tried to fix problems with the old methods, which led to huge asset bubbles and long-lasting deflation. The biggest risk during the transition is macro-economic readjustment. China also faces an additional problem to fit its institutional system into the picture. The institutional system used to support the "catch-up model" including the governance method will need a rudimentary change. As the development phase changes, the line of thinking has to change as well. Expanding domestic demand has been brought up for a while. Boosting domestic demand does not depend on credit and loans. Instead, opening the protected industries is the way to go. To deal with the convergence phase, institutional reforms are also required. In the future with a medium to low growth rate, more innovation entities are necessary. The resource allocation is decentralized. The pattern of risk control needs to progress as well. As do the traditional top-to-bottom governance model and relations between government and businesses. China has advantages in market scale. First of all, starting the new phase, one factor to consider is the size of the Chinese market. If top management disregards it, using policy combinations for small open economies, it will cause severe problems. China may be less dependent on the US market down the road and the importance of trade within the Asian region will be elevated. Second, China eventually will have to trade with itself. The future growth with high-quality is inseparable from trade among its own regions where they can fully utilize their comparative advantages. Regional integration is crucial for future economic development. Third, service and non-trade sectors need to maximize their advantages. Many small economies would rather not open their service and non-trade sectors because of low productivity, but a closed economy tends to make its labor productivity even lower. China's market is big enough to accommodate global competition - an open economy will not bring down productivity. Fourth, China needs to make the most of its complete supply chain and city conglomerates. Our current policies are following the old models. That has to change in the future.